Not a lot of people live within driving distance of The Happiest Place On Earth, so when you're in Disneyland, you gotta make the most of your photo ops. And every diehard Instagrammer knows the secret to a double tap-worthy post is a witty, relatable caption. 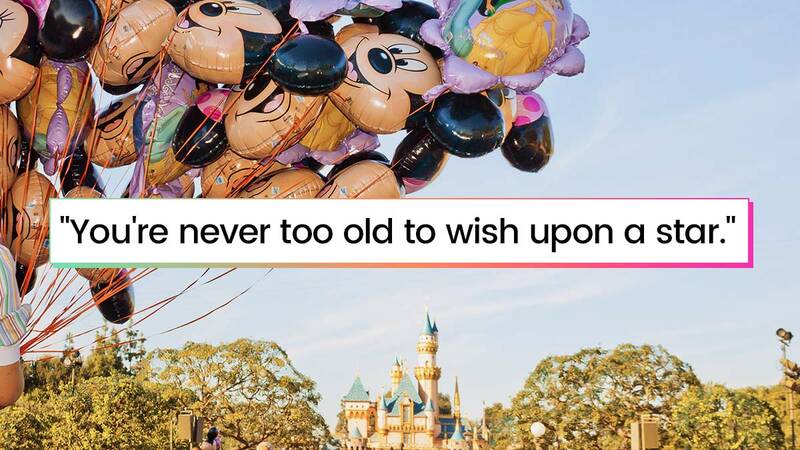 "You're never too old to wish upon a star." And, of course, don't forget your mouse ears!